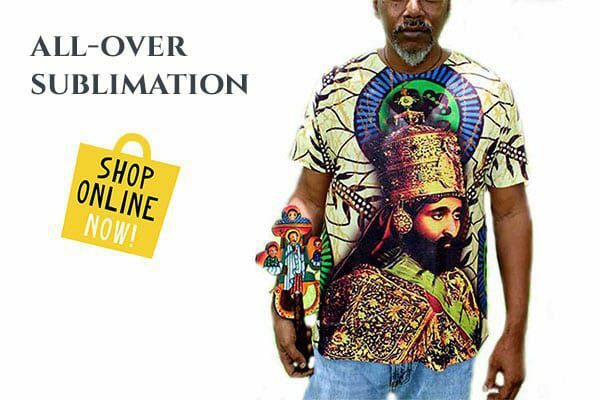 While many scholar debate over the real birthday of Iyesus Christ being between July and September, the Gregorian calendar celebrates Christmas on the 25th of December, while Ethiopia still retains the ancient Julian calendar in which Christmas falls on January 7th (of the Gregorian calendar.) The Julian Calendar has not been altered since Christ has walked the Earth. During Ethiopian Christmas, its typically, a hot summer day and people in towns and villages dress up in their finest to celebrate. 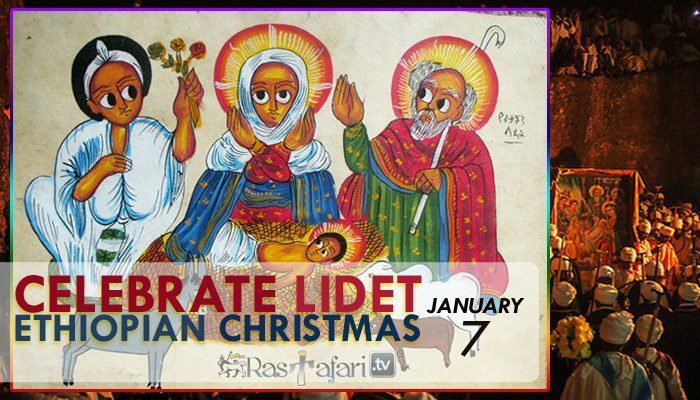 The Ethiopian name given to Christmas is Lidet or Genna which, according to elders, comes from the word Gennana, meaning “imminent” to express the coming of the Lord and the freeing of mankind from sin. Genna is also the name given to a hockey-like ball game. Legend has it that when shepherds heard of the birth of Christ they rejoiced and started playing the game with their sticks. Men and boys in villages now play the traditional Genna game with great enthusiasm in the late afternoon of Christmas day, a spectacle much enjoyed by village communities and the elders who referee the game. Many people fast (don’t eat anything) on Christmas Eve (January 6th). At dawn on the morning of Genna, people get dressed in white. Most people wear a traditional garment called a shamma. It’s a thin white cotton piece of cloth with brightly colored stripes across the ends. Most men prefer the heavier covering called a gabbi. It’s worn like a toga. If you live in a big town or city you might wear ‘western’ clothes. The early Genna mass starts at 4.00am! Genna festivities begin early in the day, as early as 6:00am when people gather in churches for mass. For the clergy it has begun much earlier, 43 days before, with the fasting period leading up to Genna. 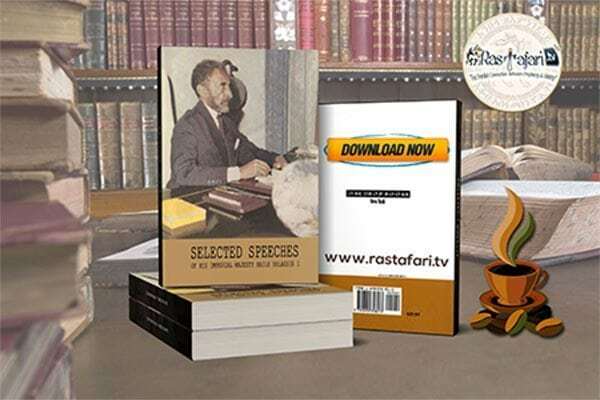 This pensive fasting period is required of the clergy and is known as the Fast of the Prophets. The fast of Advent is carried out to cleanse the body and soul in preparation for the day of the birth of Christ. Everyone stands throughout the worship service for up to three hours. 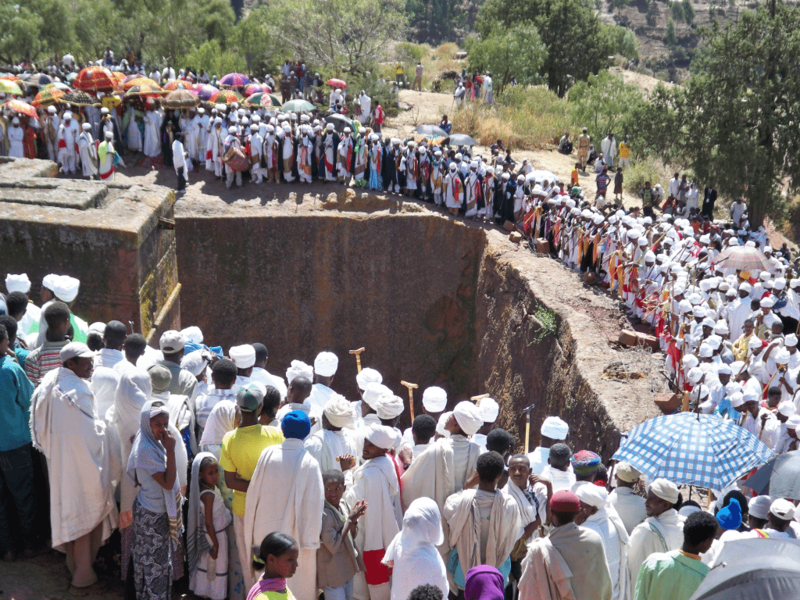 The clergy and Debtera (scholars versed in the liturgy and music of the church) lift their voices in hymn and chant just as it has been for over a 1,500 years when Ethiopia accepted Christianity. 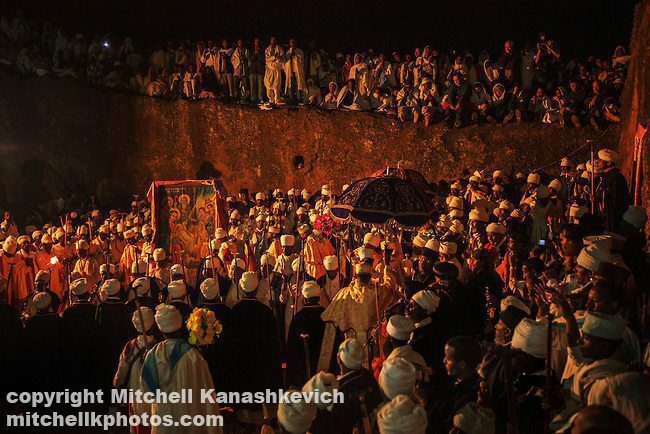 This ancient rite culminates in the spectacular procession of the Tabot (the Tabot is symbolic of the Ark of the Covenant) and carried on top of a priest’s head). The procession makes its way three times around the church amidst ululation and chiming church bells, dazzling umbrellas and colorful attire of the clergy and Debteras (especially designated to accompany the Tabot) as well as a throng of Christians who follow the procession with lighted candles. The design of Ethiopian Church is similar to the houses. In the country, they are often very old and have been carved out of rock. In cities, modern churches are built in three circles, each within the others. The choir sings from the outer circle. Everyone who goes to church for the Genna celebrations is given a candle. The people walk around the church three times in a solemn procession, holding the candles. They then go to the second circle to stand during the service. The men and boys are separated from the women and girls. The center circle is the most important and holy place in the church and is where the priest serves the Holy Communion or mass. 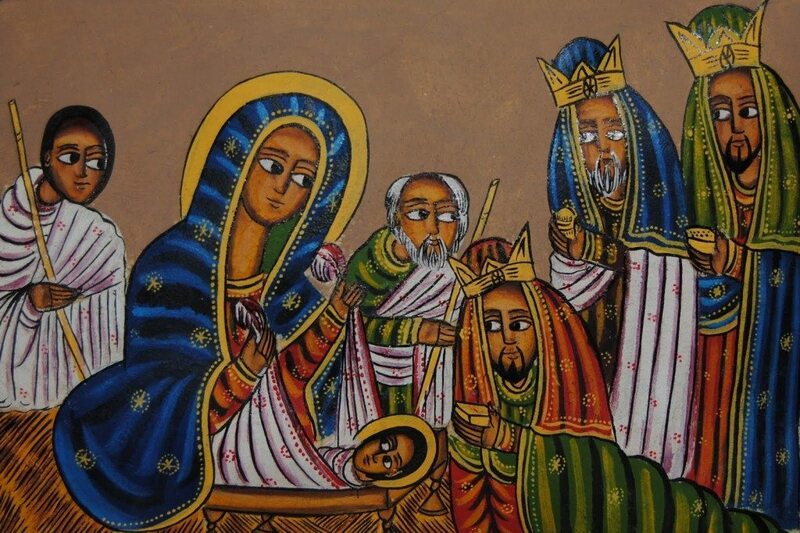 It’s also a tradition that one of the Wise Men who visited Iyesus came from Ethiopia. After Holy Services, people disperse to their homes to feast and the clergy break their fast. Food and drink are plentiful, with many homes preparing the special meals characteristic of all big festivities highlighted on the Ethiopian calendar. Food served at Christmas includes Doro Wat and Injera, a spicy chicken stew eaten with the sourdough pancake-like bread. Often, tej, a local wine-like drink made from honey, accompanies the feast. Traditional Christmas foods in Ethiopia include wat which is a thick and spicy stew that contains meat, vegetables and sometimes eggs (sounds yummy!). 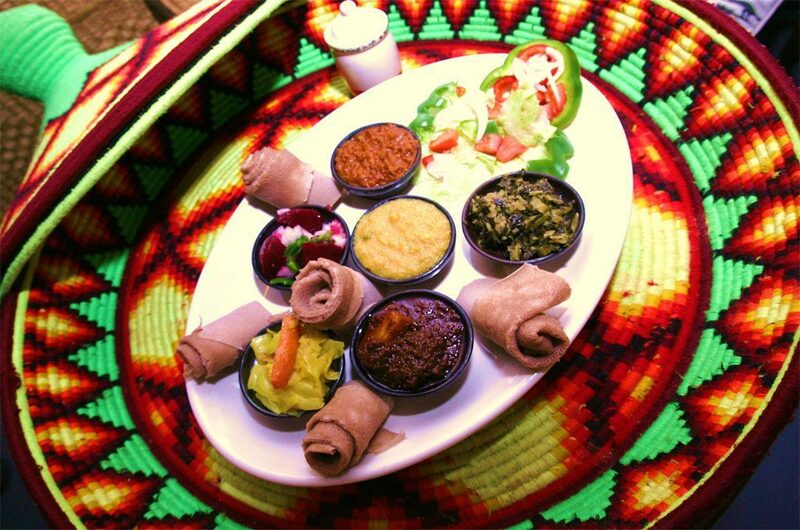 Wat is eaten on a ‘plate of injera’ – a flat bread. Pieces of the injera are used as an edible spoon to scoop up the wat. Christmas is quietly shared and celebrated in groups of friends and family. Gift giving is a very small part of Christmas festivities in Ethiopia. Only small gifts are exchanged amongst family and friends at home. But one gift most eagerly awaited by all children is a new outfit that they wear with pride on Christmas Day. The festive mood continues until the late hours of the evening. The joy of giving and sharing, extends beyond religious beliefs and spreads the spirit of peace on earth and goodwill to all mankind throughout the world. 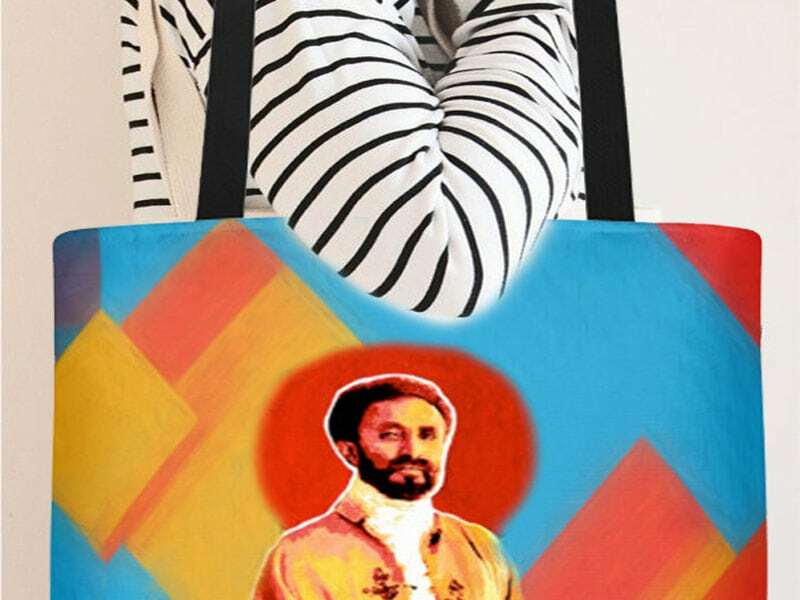 Twelve days after Genna, on 19th January, Ethiopians start the three day celebration of Timkat. It celebrated the baptism of Iyesus. Children walk to church services in a procession. They wear the crowns and robes of the church youth groups that they belong to. Adults wear the shamma or gabbi. The priests wear red and white robes and carry embroidered fringed umbrellas. Musical instruments are played during the Timkat procession. The sistrum is a percussion instrument with tinkling metal disks a bit like a vertical tambourine. A makamiya, a long T-shaped prayer stick is used to keep the rhythm and is also used by the priests and a stick to lean on during the long Timkat church service! 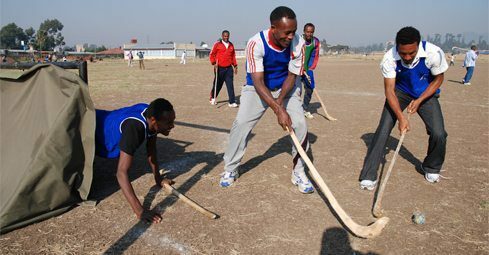 Ethiopian men also play a sport called yeferas guks. It’s played on horseback and the men throw ceremonial lances at each other (sounds rather dangerous!). People don’t give and receive present during Genna and Timkat. Sometimes children might be given a small gift of some clothes from their family members. It’s more a time for going to church, eating lots and playing games! Check Out The Recipe to Make Homemade TEJ, Honey Wine!